Elusys Therapeutics, Inc. has received payment from the U.S. federal government for completing the second delivery of its medical countermeasure for inhalational anthrax, according to a Jan. 24 statement by the company. The $16.35 million fulfillment for delivery of ANTHIM® (obiltoxaximab) Injection is as part of a $45M procurement contract to provide ANTHIM for the U.S. Strategic National Stockpile. The company had previously received $8M for its first delivery of ANTHIM under this same contract earlier in 2016. ANTHIM is a monoclonal antibody that binds to the protective antigen (PA) component of anthrax toxin. 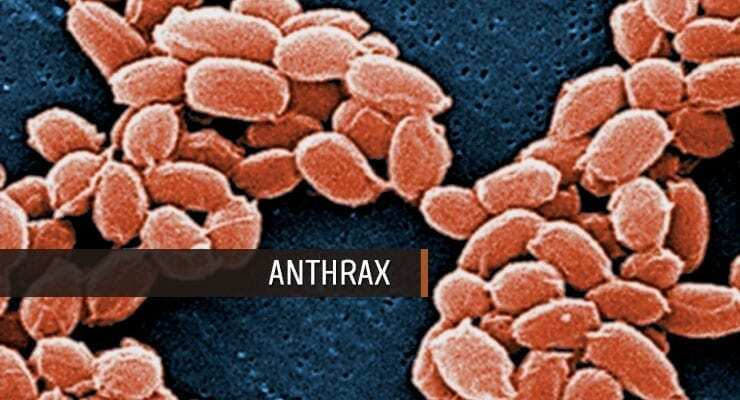 The countermeasure received U.S. Food and Drug Administration marketing approval in March 2016, for indications in both adult and pediatric patients for the treatment of inhalational anthrax due to Bacillus anthracis in combination with appropriate antibacterial drugs, and for prophylaxis of inhalational anthrax when alternative therapies are not available or are not appropriate. Elusys also announced today that it has been awarded approximately $5M of additional funding from the Biomedical Advanced Research and Development Authority (BARDA), within the Office of the Assistant Secretary for Preparedness and Response in the U.S. Department of Health and Human Services, to continue Elusys’ lyophilization development program and regulatory activities to support a Supplemental BLA for a lyophilized form of ANTHIM. The company has now received authorized funding from BARDA totaling more than $200M under two advanced development contracts for ANTHIM.